With the cost of heating and cooling going through the roof, how do you know how much of your money is going out the window? ?Are your lighting, water usage, and other factors costing you a fortune? Do you have inconsistent room temperatures? There is a way to find out..get a Home Energy Inspection from HomeMD Energy Inspection Services. HomeMD’s final report is a blueprint for making your home more energy efficient…and savings you money on your utility bills. A home inspection is one of the first steps on your way to home ownership. 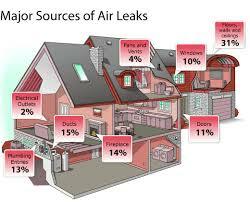 ?It will help evaluate hundreds of items that you need to know to achieve a complete bill of health on your home.